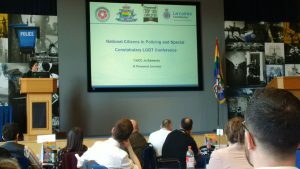 On Sunday 25th February 2018 Lancashire Constabulary hosted a LGBT National Citizens in Policing Conference for people who volunteer in policing who either identify as LGBT or who are LGBT allies. Delegates represented over 24 Police forces from across the UK and welcomed the opportunity to progress equality and inclusion for those who provide a valuable contribution to policing. 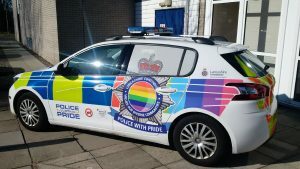 Present were Special Constables, Police Support Volunteers and LGBT network leads along with those wanting to support the contribution that they make. 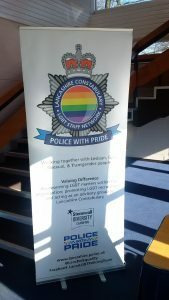 The Conference was opened by ACC Jo Edwards who welcomed delegates and set out her ambition that those from the LGBT community who volunteer to support policing should be able to bring their whole selves into their volunteering without having to hide who they really are. At Lancashire Volunteer Partnership we seek to offer a truly inclusive experience in public service volunteering, why not come and join us, look at our opportunities to volunteer in public service today!